If you have been planning to apply for a visa, you may have thought of ways to get a free No Objection letter. Or maybe, you weren’t even aware that a no objection letter is required to be submitted along with other documents like the flight reservation for visa and the hotel reservation for visa? Either way, there’s nothing to stress over. We know that visa application processes can sometimes be a little daunting for some of you, and rightly so. With a long list of documents to be submitted, we know it can bog you down if you are trying to do everything by yourself. To ease your worries, let us help you understand what a no objection letter is, why you need it and how you can go about obtaining a free no objection letter. 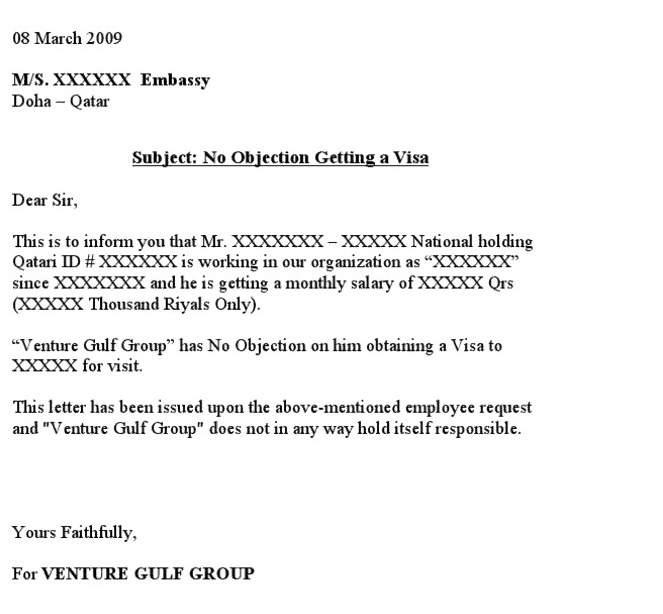 WHAT IS A NO OBJECTION LETTER FOR VISA APPLICATION? A No Objection letter, also known as an NOC, is an authorization letter by your employer or your school/university that declares that you have the permission to leave the country without any objection from them. It is an assurance to the embassy of your destination country that you are not illegally attempting to leave your base country or even trying to illegally secure employment during your travel to another country. The employer or the authorizing body declares that not only do you have the leaves to travel, but also the financial means to independently bear your own expenses without any support from the employer. WHY DO YOU NEED TO SUBMIT A NO OBJECTION LETTER? No government likes to take in visitors who they think will break the country’s laws. This is exactly why they ask for a no objection letter from visa applicants. A clean background and a clearance from the employer or school definitely goes a long way in reassuring the embassy that your intention to travel in only limited to what you have declared on paper – business, tourism, education or medical reasons. Hence it is important to put together a professional and concise no objection letter to ensure maximum chances of visa approval. If all this information is making you feel overwhelmed, there’s no need to worry. It is actually a fairly simple job to get done! You can also take a look at the sample no objection letters shown below for your reference. HOW TO OBTAIN A FREE NO OBJECTION LETTER? By now, you must have understood what kind of a no objection letter the embassy will be looking for. But you have probably been wondering how you can obtain a free no objection letter to go through the visa application process in a hassle-free manner. It’s a fairly simple process if you think about it! One option is to directly approach your manager or head of the department and ask them for a free no objection letter. In many cases, if your leave has been approved by the organization, they will oblige. For them, it is just a matter of gather a few details about your employment and penning down a simple letter. However, we have come across many instances where it has been slightly more difficult for the applicant to obtain a free no objection letter from the employer or the university. This can potentially happen because of two reasons. In the first scenario, the right person may be too busy or unavailable to provide a no objection letter to you on time for you visa application process to not get delayed. There could be another situation whereby you are planning to apply for a visa before your leave has been approved officially. This is a possibility since the processing time for certain visas can be quite long and you want to apply in advance so it’s out of your way. In this case, many organizations may refuse to provide a free no objection letter until the leaves are approved. Have you faced this situation yourself or foresee that this may happen for your next holiday? We have a simple solution for this! 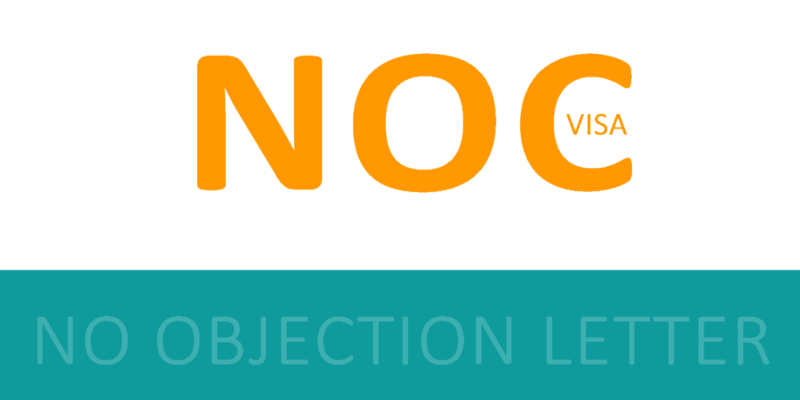 We can help you get a free no objection letter easily! 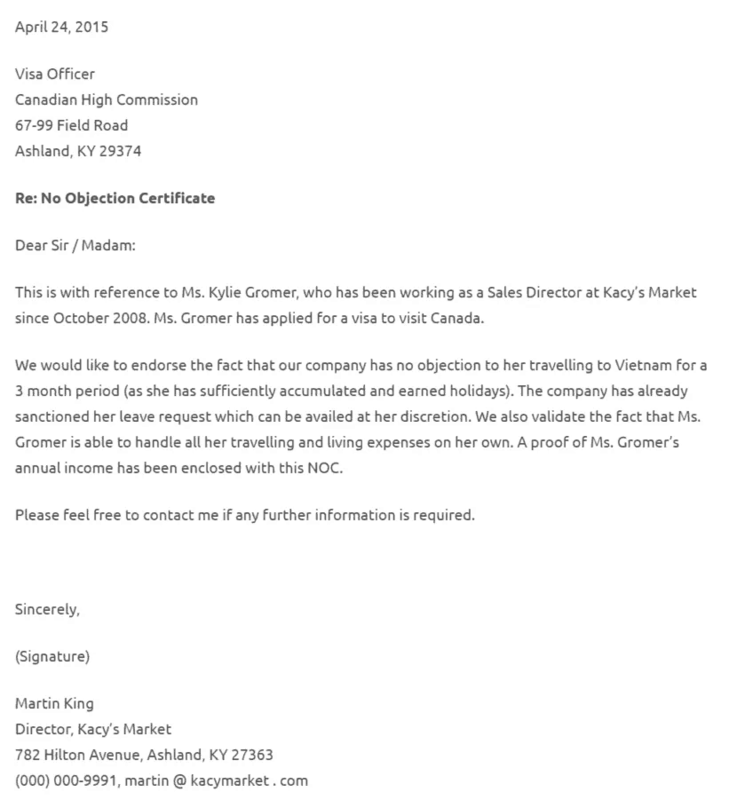 When you choose a package for your flight reservation for visa and hotel reservation for visa, let us know that you also need a no objection letter. It’s as straightforward as that! We have several professional templates for no objection letters that are accepted by different embassies of the world and our team can help you with it as per your requirement. We hope that you now feel that obtaining a free no objection letter is basically quite simple. Either approach your organization to get one, or if that’s not working, we at Visa Reservation Services will always be able to help you out!